Nintendo doesn’t have the best of fortunes in the home console market, but when it comes to handhelds, the company is a beast of note. From the original Game Boy to the current 3DS, the Japanese firm has seen off quite a a variety of rivals. We all know about Sony’s PSP and Vita, but what about lesser-known consoles that tried and failed to knock Nintendo off its handheld perch? 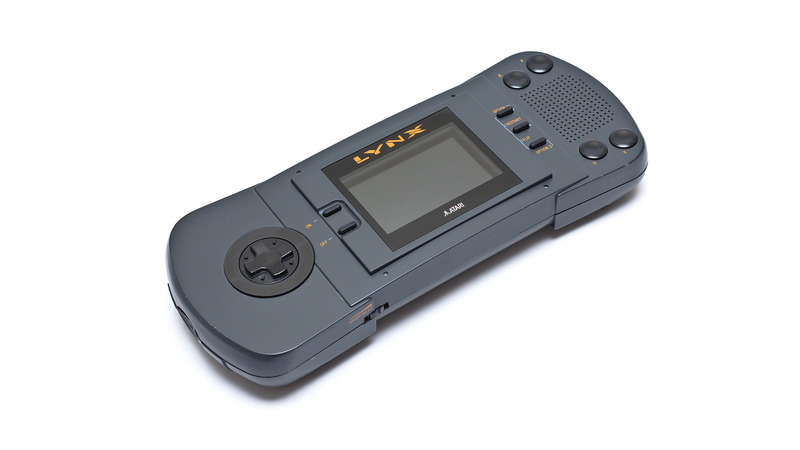 One of the earliest rivals to the Game Boy was 1989’s Atari Lynx, bringing colour screens to portables at a time when it was virtually unheard of. While the Lynx also delivered network play and an ambidextrous design the processor was perhaps one of the coolest features. In fact, the powerful chip enabled “pseudo-3D” scaleable sprites. In other words, it was pulling off SNES-like visuals before the SNES was released. Unfortunately, a combination of high price tag, mediocre battery life and the Game Boy put an end to Atari’s handheld ambitions. Noteworthy Lynx games include Ninja Gaiden, Lemmings, Desert Strike, Blue Lightning and Double Dragon. 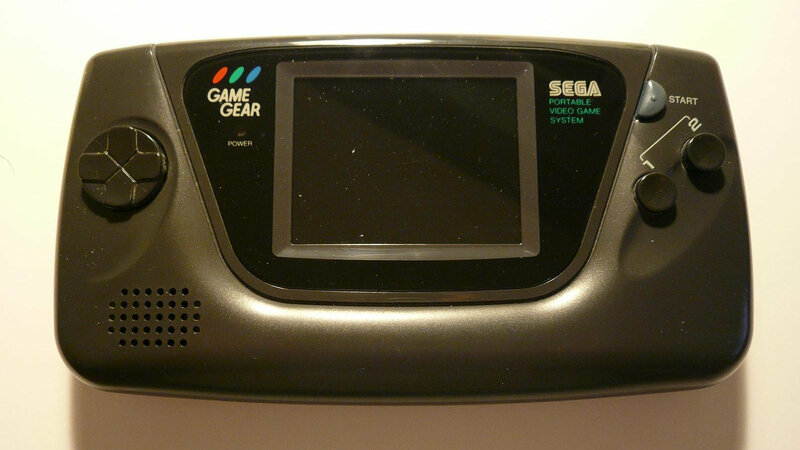 Released back in 1992, the Game Gear was effectively a portable Sega Master System, sharing the same CPU and 8KB of RAM. In fact, an adapter allowed the Game Gear to play Master System games in addition to original titles. The handheld also differentiated itself thanks to its vivid (for the time) colour screen and horsepower. Unfortunately, this meant it was a huge drain on the six batteries (! ), giving you just three to five hours of juice. Notable releases for the Game Gear include Castle of Illusion: Starring Mickey Mouse, Cool Spot, Gunstar Heroes, the Mortal Kombat franchise and (of course) numerous Sonic games. Sega would follow up with the Nomad, being a handheld that played your Mega Drive/Genesis cartridges and having no original games of its own. Perhaps one of the more notable Game Boy rivals was Bandai’s WonderSwan and WonderSwan Color handhelds, being the brainchild of former Nintendo employee Gunpei Yokoi. After all, who better to take on Nintendo than the guy who created the Game Boy in the first place? Anyway, 1998’s WonderSwan delivered a powerful processor, two D-pads to make portrait gaming possible, more shades of grey for the monochrome display and up to 40 hours of life off a single AA battery. 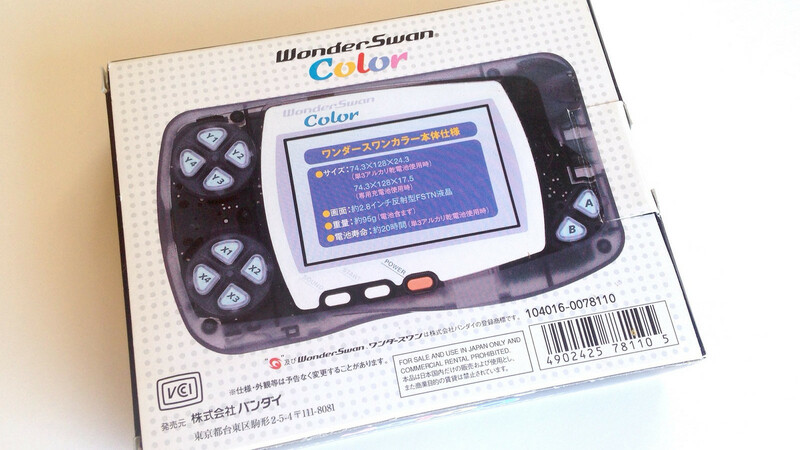 Of course, battery life saw a dip with the release of the WonderSwan Color, but it still achieved over ten hours of juice. The console saw some success in Japan initially, but the Game Boy Advance’s release hammered a nail in its coffin. The WonderSwan/Colour library is rather intriguing, delivering the Final Fantasy 1 and 2 remakes, Klonoa: Moonlight Museum, Front Mission, Gunpey, Mr. Driller, Digimon and One Piece. 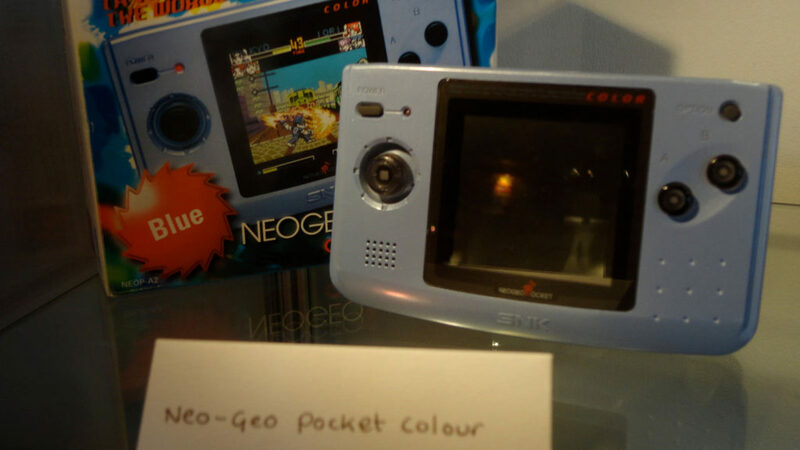 Arcade icon SNK released a few consoles in the 1990s, including the Neo Geo Pocket handheld in 1998. 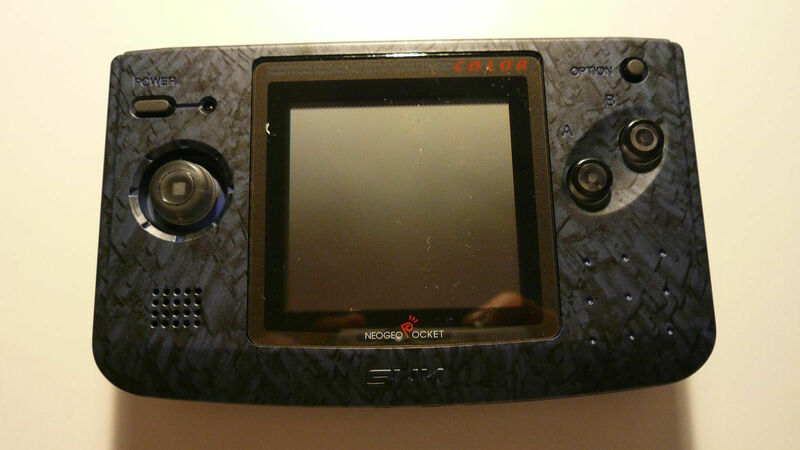 Mere months later, the company released the Neo Geo Pocket Color, but games were forward- and backwards-compatible between the two anyway. The console delivered a satisfying analogue nub/stick, so SNK’s fighting franchises made for a great fit. Otherwise, a US$69 price tag and max battery life of 40 hours (off two AA batteries) made the handheld stand out. Unfortunately, SNK went bankrupt and ended up being bought out, ending the Neo Geo Pocket lineup. Notable games for the console include Metal Slug 1st and 2nd Mission, Sonic Pocket Adventure, SNK vs. Capcom: Match of the Millenium and King of Fighters. One of the most high-profile handheld/mobile failures, the Nokia N-Gage was a gaming-focused smartphone that featured a D-pad and the Symbian S60 operating system. The phone’s design was heavily inspired by other handhelds, so that meant a large screen in the middle, a D-pad on the left and other buttons on the right. Unfortunately, phone calls required users to hold the phone in a very peculiar way. It wasn’t the only poor design choice, as swapping game cartridges required you to shut the system off first (the card slot was below the battery). 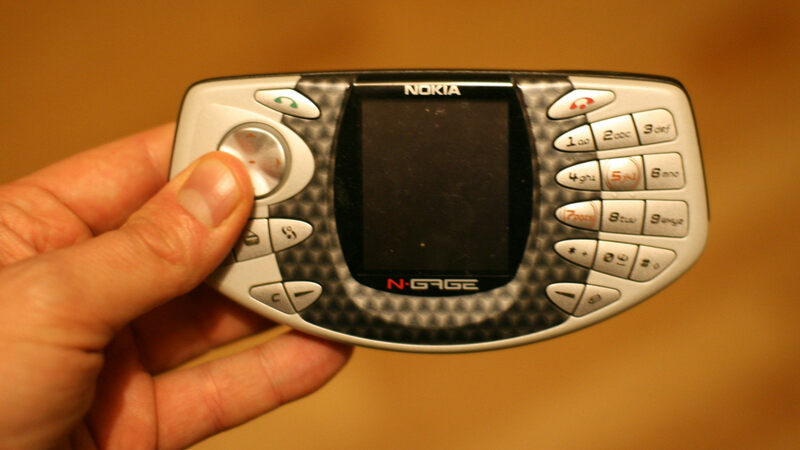 The N-Gage QD fixed quite a few issues (including the card swapping), but Nokia later chose to bring N-Gage games and services to other S60 phones instead. As for noteworthy games, the N-Gage played host to Tony Hawk’s Pro Skater, Pathway to Glory, Worms World Party and Super Monkey Ball.